A new initiative aiming to help veterans in need in Ottawa could be expanding to cities across Canada in the near future. Vets Canada, a non-profit organization which provides outreach services to homeless and in-crisis veterans, has opened a drop-in and support centre in the nation’s capital. Although Vets Canada does receive federal funding for some of its work, the money put toward the drop-in centre came entirely from donations. Some of its operations are handled by volunteers. Richard MacCallum is one of them. A longtime reservist in the Canadian Armed Forces, MacCallum fell on hard times earlier this decade. “My business went down the tubes because of the downturn in the economy,” he told CTV Ottawa. MacCallum eventually ended up homeless in Ottawa, where he connected with Vets Canada. The organization helped him find a job, a home and a new purpose for his life. 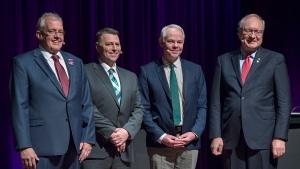 Crediting Vets Canada with helping him turn his life around, MacCallum says he wants nothing more than to help the organization aid other veterans in similar situations. “I get a lot of self-satisfaction and a lot of enjoyment out of doing what I do to help,” he said. The Ottawa drop-in centre is believed to be the first service of its kind for veterans anywhere in Canada. On Monday, its first day of operation, several veterans walked through its doors. They were able to see its computer centre, library, laundry facilities and other common areas. One of the first people they encountered would have been Alexa Pasha, who works at the centre as a support services navigator. Pasha says the centre’s services are meant for veterans experiencing hardships ranging from homelessness to family issues to not being able to afford food or gas. Vets Canada hopes to set up similar facilities in other major cities within the next year. 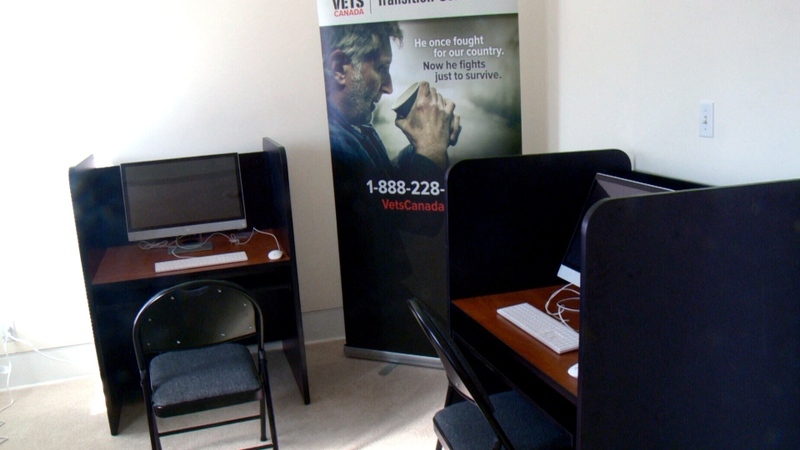 Vets Canada has opened a drop-in support centre for veterans in need in Ottawa. Pictured here is the computer centre which allows veterans to access the internet.